Website hosting is needed in order for your website to be viewed on the Internet. Hosting company stores your website files on its servers. When someone enters your domain name in the browser, it gets translated into the IP address of the server where your website files reside. There are so many different hosting providers and their products and services differ. It can be overwhelming trying to find the right website hosting. 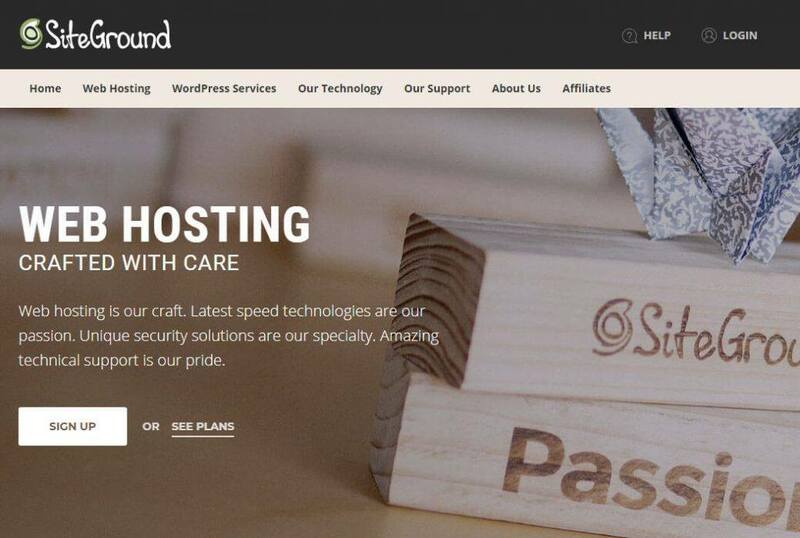 SiteGround is one of the most popular and highest rated hosting providers in the WordPress community. They have the best 24/7 support. You can call them in the middle of the night, or on a weekend, and they answer the phone right away. Or you can also submit a support ticket online, and it will be answered within a few minutes. Over the years, I’ve had many questions and issues promptly resolved by the SiteGround support team. They also offer 30-day backup and restore tool. Backup copies of your website are kept up to 30 days (starting with GrowBig plan). If you update your website and something goes wrong, there is 1-Click Restore tool that will revert it to the previous version. SiteGround provides unique in-house WordPress speed and security solutions to make your site as fast and secure as possible. SiteGround has been one of the first few companies that started offering free SSL certificate – Let’s Encrypt. Now it’s automatically issued and installed with every new shared hosting account. Since Google gives preferred ranking to websites that use SSL, it’s even more important to have SSL installed. Website speed is important for user experience, revenue, SEO, and conversion. Google has been using site speed in web search ranking for a few years. So we know that a faster website will get a bump in the search results. SiteGround offers their own caching plugin – SG Optimizer that is optimized for their servers, and it makes your website load faster. SiteGround was also one of the first few hosting providers who started offering support for the HTTP/2 protocol, which speeds up your website delivery to your users. Netmagik offers website monitoring as part of the monthly website care plans. We had 99.99% uptime recorded for the websites hosted with SiteGround. SiteGround is not the cheapest, but it’s also affordable compared to other hosting providers of lesser quality. They offer shared hosting, cloud hosting, and dedicated servers. The plan you choose depends on what type of website you are running, how much traffic you are getting, and how much server space you need. We recommend starting with at least GrowBig plan, which adds SuperCacher for a faster website, priority support and free backup and restores.